HUNTSVILLE, Ala. (WHNT)-- Were you unfortunate enough to see the viral photos that had a lot of local viewers worried over the weekend? The scene was shared thousands of times. Someone spotted a dead deer in the back doorway of a south Huntsville restaurant. The deer, confirmed to be roadkill, was photographed lying half inside the back door of a New Ichiban Japanese Steak Seafood & Sushi restaurant. The community reaction was swift, with many asking the obvious question: What was roadkill doing nearly inside this Japanese restaurant?! WHNT News 19 took action to find out. Employees told us off camera that the men who found the deer on the road have only been in the country for six months and just wanted to help the deer. They claimed the men didn't know it was a bad idea to have it near the restaurant. There was a language and cultural barrier, so employees called a frequent customer of the restaurant to come over. They told him what they say happened and asked him to speak on their behalf. "The deer never made it into the kitchen," explained our impromptu interpreter, Tommy Siniard. "It was two employees who'd thought they had found something and the owner discovered it and told them that they couldn't do that." 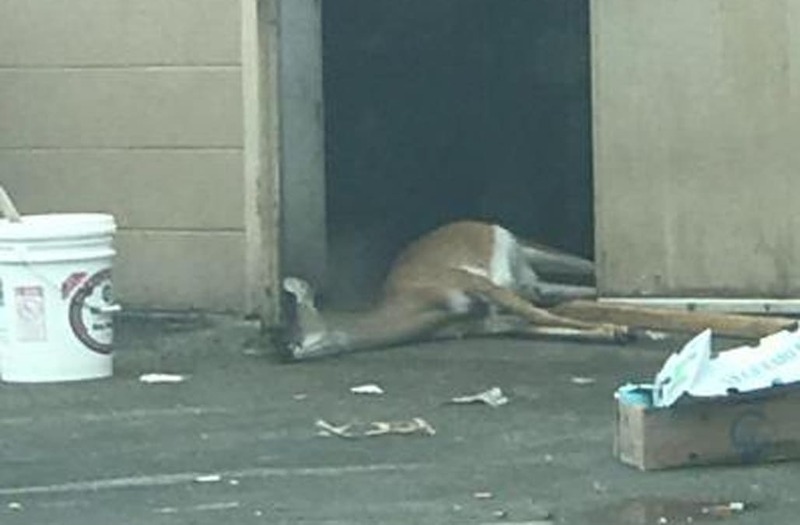 The owners did have the employees put the deer in the dumpster, but then they were concerned about somehow getting in trouble for that, so they called the police. "This morning the health department had seen what made the World Wide Web and came down and inspected, cleared them of everything. Looked in all the refrigerators, inspected the restaurant," Siniard said. The Alabama Department of Public Health confirmed that they investigated, and understood that the employees had been planning on processing the meat in the restaurant, but said the owners did the right thing by stopping them. "They were reprimanded, the Health Department has cleared them," Siniard said. The restaurant's final statement was that they plan to move forward and continue to serve excellent Asian cuisine to their customers.